Artemisinin is an extremely powerful medicine with strong anti-parasitic properties. It has strong use for many cancers, anti-bacterial, anti-fungal properties and is an indispensable compound against lyme disease, babesia and malaria. Research has shown artemisinin to be beneficial in balancing the microbiology of the G.I. tract, and has long historical use as an agent used to eradicate gastrointestinal parasites. 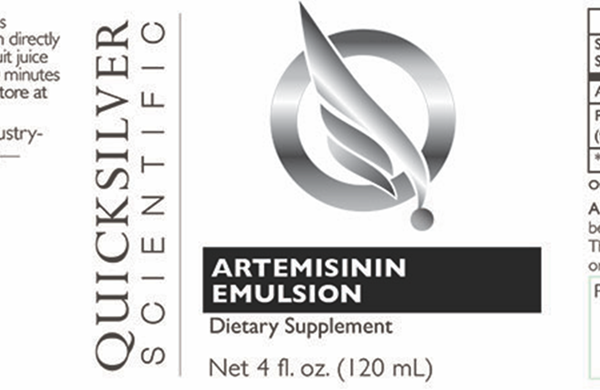 Artemisinin is an active constituent of the plant Artemisia annua, or sweet wormwood. Artemisinin and its derivatives are powerful medicines known for their ability to swiftly reduce the number of Plasmodium parasites in the blood of patients with malaria. Artemisinin’s reported pharmacological activities include cytotoxicity against some cancer cells, antibacterial and anti-fungal activity. Artemisia is commonly used in treatment of babesia and Lyme disease. Quicksilver produces have demonstrated the ability to deposit their cargo intracellularly and enhance lymphatic circulation of nutrients. Also, the phospholipids that compose the liposome shell feed the cell membranes. This ensures the proper function for the absorption of nutrients and the excretion of cellular waste products and toxins. Developed in an oral vehicle to support absorption of this poorly soluble compound. 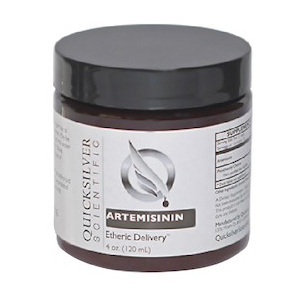 Artemisinin is an active constituent of the plant Artemisia annua, or sweet wormwood. Artemisinin and its derivatives are powerful medicines known for their ability to swiftly reduce the number of Plasmodium parasites in the blood of patients with malaria. Directions: Take 1 teaspoon 1-3 times per day or as directed by your health practitioner. May be taken directly by mouth or mixed into water or juice (Grapefruit juice is best). Best taken on an empty stomach at least 10 minutes before meals.